Last Thursday evening over 80 people attended a special service at St Columba’s Church for the licencing of the priest-in-charge. 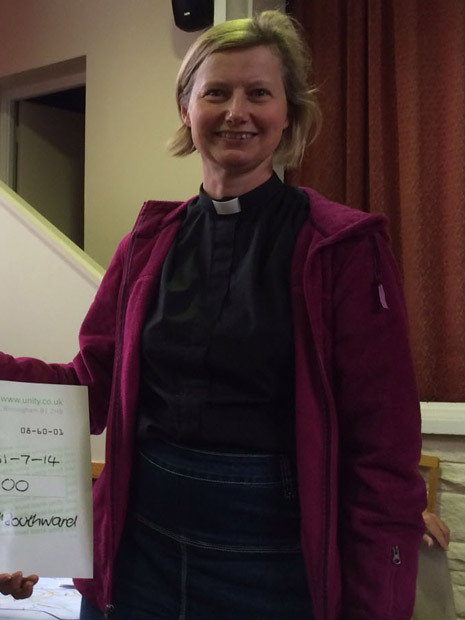 This now means that Reverend Frances Eccleston is now officially licenced as vicar of Crosspool. Bishop of Doncaster Peter Burrows and many other church dignitaries attended the service together with many of the local congregation. At the same time Frances was licenced to the post of bishop’s adviser in pastoral care and reconciliation, a role which she will carry out alongside her duties in the parish. This entry was posted in churches, crosspool, news and tagged frances eccleston, peter burrows, st columba's. Bookmark the permalink.